Looking for an experienced mover who understands your needs? Look no further than the expert certified ProMovers at Randall's. We will expertly pack and move your fine china, glassware, and art work. Let a ProMover do your next local move to Springfield VA. Expert movers at Randall Moving and Storage will pack and ship your household goods. 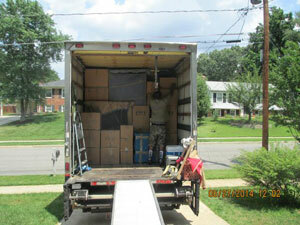 Randall Moving & Storage works with home owners and businesses in Springfield Virginia.